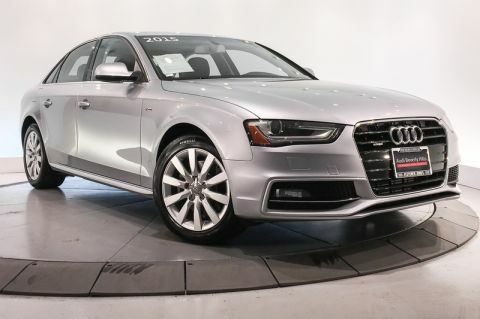 Audi Fletcher Jones presents this 2013 Audi A4 2.0T multitronic. This excellent condition Audi comes in an eye catching Volcano Red metallic on Black interior which pairs perfectly with the upgraded Lighting package featuring the advanced technology of Audi xenon plus front lighting and LED daytime running lights & taillights. You also have the upgraded Convenience package featuring the added of luxury of Audi music interface with IPod cable and Bluetooth connectivity. Live out of the area? Contact us to discuss convenient delivery options. (949) 791-1500 UPGRADED EQUIPMENT: Convenience package, Audi music interface w/ IPod cable, Garage door opener(HomeLink), Bluetooth, Lighting package, Audi xenon plus front lighting, LED daytimerunning lights & taillights, Aluminum window surrounds CONDITION: We offer the best cars in the country, at the best price. This vehicle has been meticulously inspected and reconditioned by factory trained technicians. Investing in state of the art facilities, tools and training, our technicians go above and beyond the expectations of your pre-owned vehicle purchase. BENEFITS: There are many benefits to becoming a Fletcher Jones Owner. Complimentary services include car washes, Audi courtesy vehicles for extended repairs, John Wayne Airport pick up and drop off (your vehicle washed and ready upon your return), multi point vehicle inspections and much more. ABOUT US: Audi Fletcher Jones is located at 375 Bristol Street, in Costa Mesa California. As an authorized Audi dealer, we offer a large selection new and pre-owned vehicles. We likely have the vehicle you’ve been searching for, or contact us to find an exact configuration. If you live out of the area, ask us about our door-to-door delivery options. 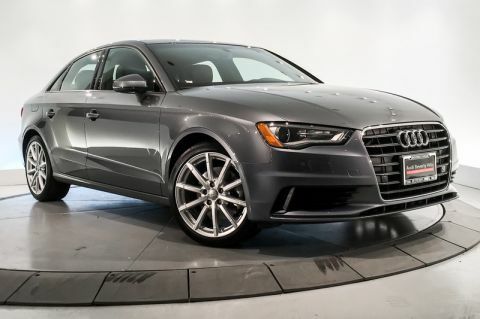 Audi Fletcher Jones presents this 2014 Audi A4 2.0T quattro Tiptronic. 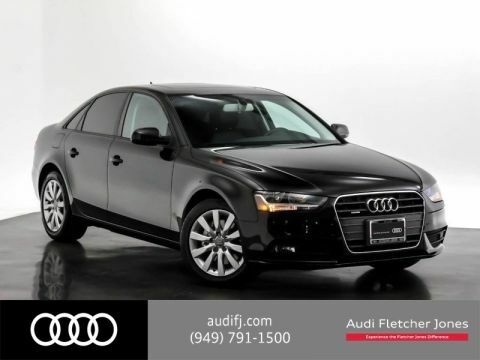 This Certified Audi comes in a gorgeous Brilliant Black paint on sleek Black interior with plenty of seating space. 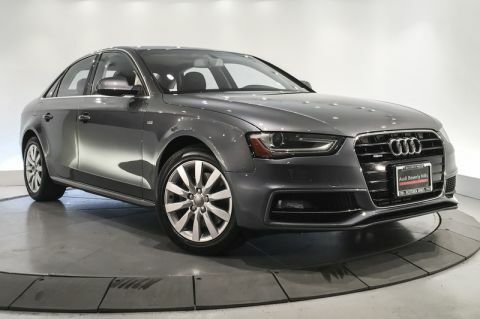 This Audi A4 has balanced handling and a zippy engine and also incluse the added versatility of quattro all-wheel drive, which makes this Audi perfect for weekend adventures to the mountains! Live out of the area? Contact us to discuss convenient delivery options. 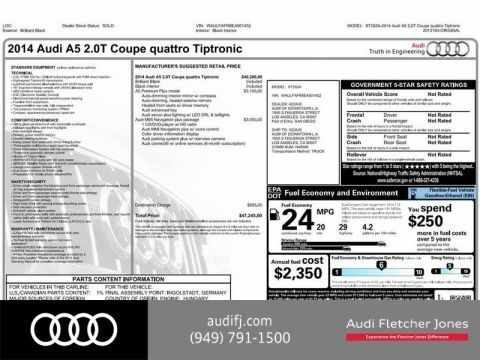 (949) 791-1500 AUDI CERTIFIED PRE-OWNED: This Certified Audi exceeded the rigorous 300+ point inspection requirements. Included is Audi’s industry leading coverage: an unlimited mileage warranty for one year, exceptional financing rates and 24-hour Roadside Assistance. BENEFITS: There are many benefits to becoming a Fletcher Jones Owner. Complimentary services include car washes, Audi courtesy vehicles for extended repairs, John Wayne Airport pick up and drop off (your vehicle washed and ready upon your return), multi point vehicle inspections and much more. ABOUT US: Audi Fletcher Jones is located at 375 Bristol Street, in Costa Mesa California. 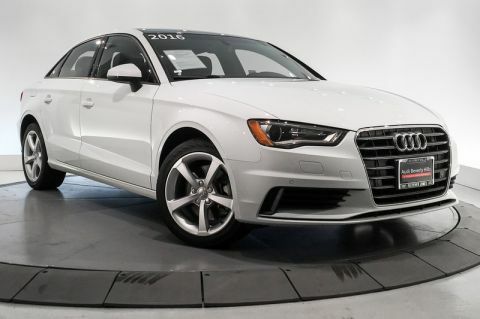 As an authorized Audi dealer, we offer a large selection new and pre-owned vehicles. We likely have the vehicle you’ve been searching for, or contact us to find an exact configuration. If you live out of the area, ask us about our door-to-door delivery options. 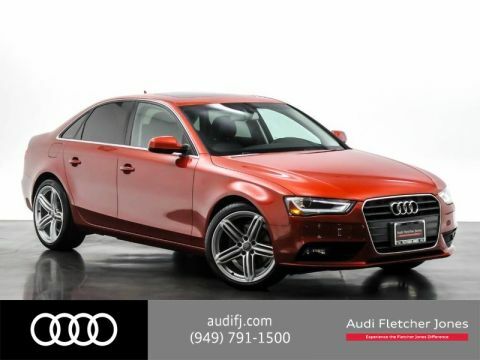 Audi Fletcher Jones presents this 2015 Audi A4 2.0T multitronic. 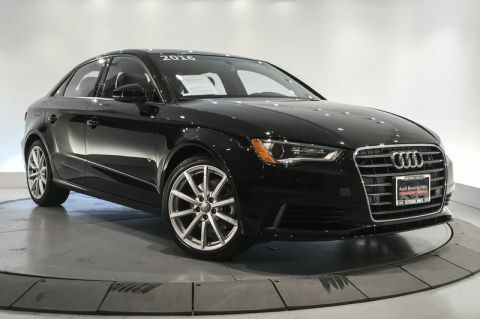 This Certified, 1-Owner Audi comes in a sleek Brilliant Black paint on Black interior which pairs perfectly with the upgraded 18-Inch Wheel package featuring 10-spoke-RS-design wheels. You also have the upgraded Audi MMI Navigation plus package with the added convenience of Audi MMI Navigation plus with voice control, a Color driver infotainment display and more! Live out of the area? Contact us to discuss convenient delivery options. (949) 791-1500 UPGRADED EQUIPMENT: Audi MMI Navigation plus package, 1 CD/DVD-player w/ HD radio, Audi MMI Navigation plus w/ voice control, Color driver information display, Heated front seats, 18 Wheel package, 10-spoke-RS-design wheels, Fine Grain Ash natural wood inlays AUDI CERTIFIED PRE-OWNED: This Certified Audi exceeded the rigorous 300+ point inspection requirements. Included is Audi’s industry leading coverage: an unlimited mileage warranty for one year, exceptional financing rates and 24-hour Roadside Assistance. BENEFITS: There are many benefits to becoming a Fletcher Jones Owner. Complimentary services include car washes, Audi courtesy vehicles for extended repairs, John Wayne Airport pick up and drop off (your vehicle washed and ready upon your return), multi point vehicle inspections and much more. ABOUT US: Audi Fletcher Jones is located at 375 Bristol Street, in Costa Mesa California. 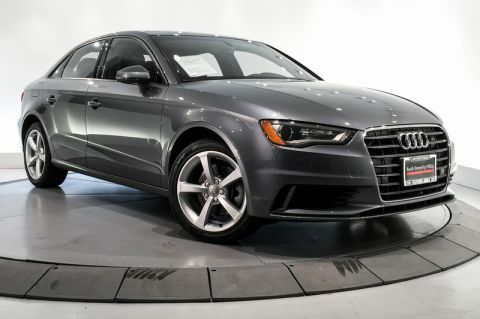 As an authorized Audi dealer, we offer a large selection new and pre-owned vehicles. We likely have the vehicle you’ve been searching for, or contact us to find an exact configuration. If you live out of the area, ask us about our door-to-door delivery options. Audi Fletcher Jones presents this 2014 Audi A5 2dr Coupe quattro 2.0T Premium Plus. 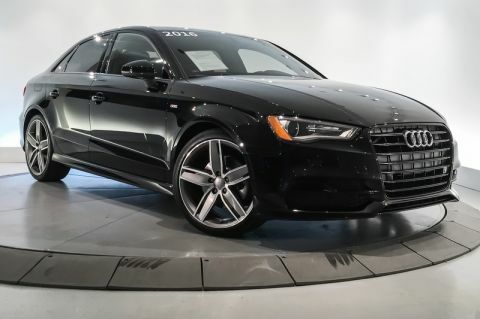 This excellent condition Audi comes in a sleek Brilliant Black on Black interior which looks phenomenal with the upgraded A5 Premium Plus model package featuring Audi xenon plus lighting w/ LED DRL & taillights. 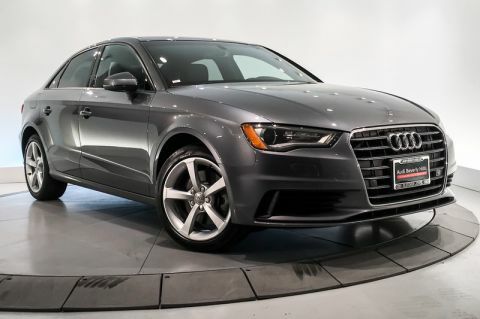 This Audi also comes equipped with the advanced technology of Audi MMI Navigation plus package featuring the added safety of Audi parking system plus with a rearview camera and more! Live out of the area? Contact us to discuss convenient delivery options. (949) 791-1500 UPGRADED EQUIPMENT: A5 Premium Plus model, Auto-dimming interior mirror w/ compass, Auto-dimming heated exterior mirrors, Heated front seats w/ driver memory, Audi advanced key, Audi xenon plus lighing w/ LED DRL & Taillights, Audi MMI Navigation plus package, 1 CD/DVD-player w/ HD radio, Audi MMI Navigation plus w/ voice control, COlor driver information display, Audi parking system plus w/ rearview camera, Audi connect CONDITION: We offer the best cars in the country, at the best price. This vehicle has been meticulously inspected and reconditioned by factory trained technicians. Investing in state of the art facilities, tools and training, our technicians go above and beyond the expectations of your pre-owned vehicle purchase. BENEFITS: There are many benefits to becoming a Fletcher Jones Owner. Complimentary services include car washes, Audi courtesy vehicles for extended repairs, John Wayne Airport pick up and drop off (your vehicle washed and ready upon your return), multi point vehicle inspections and much more. ABOUT US: Audi Fletcher Jones is located at 375 Bristol Street, in Costa Mesa California. As an authorized Audi dealer, we offer a large selection new and pre-owned vehicles. We likely have the vehicle you’ve been searching for, or contact us to find an exact configuration. If you live out of the area, ask us about our door-to-door delivery options. 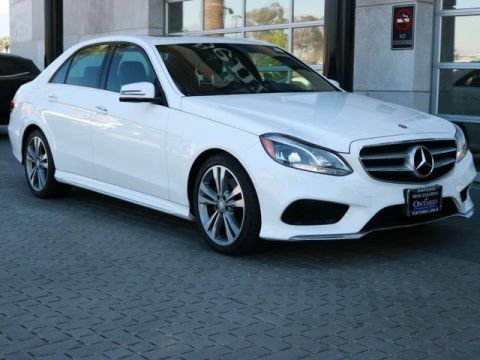 Fletcher Jones Motorcars, the nation’s #1 certified pre-owned Mercedes-Benz sales center, presents this 2015 Mercedes-Benz C 250. This excellent condition, 1-Owner C 250 comes in a gorgeous Polar White on Almond interior which looks phenomenal with the 17-Inch 5-Spoke Alloy Wheels and Burl Walnut Wood Trim. This C 250 also comes equipped with the Multimedia Package with the advanced technology of COMAND with Navigation and Voice Control and a 7.0 color display. Live out of the area? Contact us to discuss convenient delivery options. (949) 718-3000 UPGRADED EQUIPMENT: Multimedia Package, Keyless-Go, Illuminated Star, Burl Walnut Wood Trim, Rear Deck Spoiler, 17 5-Spoke Alloy Wheels, Comand w/Navigation and Voice Control, Rearview Camera CONDITION: We offer the best cars in the country, at the best price. This vehicle has been meticulously inspected and reconditioned by factory trained technicians. Investing in state of the art facilities, tools and training, our technicians go above and beyond the expectations of your pre-owned vehicle purchase. BENEFITS: There are many benefits to becoming a Fletcher Jones Owner. Complimentary services include car washes, Mercedes-Benz courtesy vehicles for extended repairs, John Wayne Airport pick up and drop off (your vehicle washed and ready upon your return), multi point vehicle inspections and much more. ABOUT US: Fletcher Jones Motorcars is located at 3300 Jamboree Road, in beautiful Newport Beach, California. 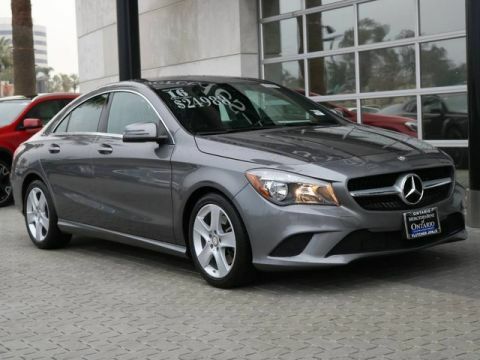 As an authorized Mercedes-Benz dealer, we offer one of the largest new and pre-owned inventories in the country. We likely have the vehicle you’ve been searching for, or contact us to find an exact configuration. If you live out of the area, ask us about our door-to-door delivery, or your Newport Beach vacation options. *From Calendar Year 2015-2018, per MBUSA National CPO and PO Sales Ranking Report. 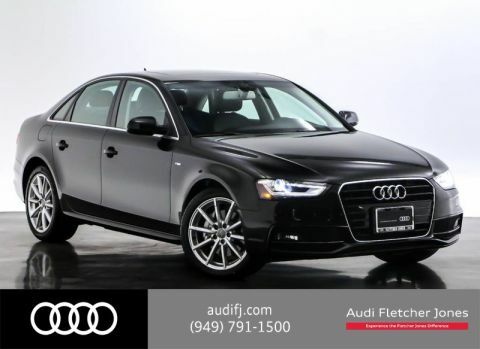 Audi Fletcher Jones presents this 2015 Audi A4 2.0T multitronic. This Certified, 1-Owner Audi comes well equipped with the advanced technology of the upgraded Technology package as well as the upgraded Bang & Olufsen Sound System. You also have the sleek styling of the upgraded A4 Premium Plus model which features 18-Inch 10-spoke-RS-design wheels. Live out of the area? Contact us to discuss convenient delivery options. 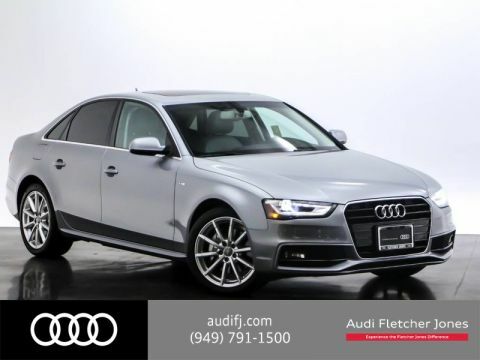 (949) 791-1500 UPGRADED EQUIPMENT: Technology package, 1 CD/DVD-player w/ HD radio, Audi MMI Navigation plus w/ voice control, Color driver information display, Parking system w/ rearview camera, Audi connect, Audi side assist, A4 Premium Plus model, 18 10-spoke-RS-dewsign wheels, Auto-dimming interior mirror w/ compass, Auto-dimming, heated exterior mirrors, Heated front seats w/ driver memory, Audi advanced key, Trunk storage package, 3-spoke multifunction steering wheel, Bang & Olufsen Sound System, Cargo Net AUDI CERTIFIED PRE-OWNED: This Certified Audi exceeded the rigorous 300+ point inspection requirements. Included is Audi’s industry leading coverage: an unlimited mileage warranty for one year, exceptional financing rates and 24-hour Roadside Assistance. BENEFITS: There are many benefits to becoming a Fletcher Jones Owner. Complimentary services include car washes, Audi courtesy vehicles for extended repairs, John Wayne Airport pick up and drop off (your vehicle washed and ready upon your return), multi point vehicle inspections and much more. ABOUT US: Audi Fletcher Jones is located at 375 Bristol Street, in Costa Mesa California. As an authorized Audi dealer, we offer a large selection new and pre-owned vehicles. We likely have the vehicle you’ve been searching for, or contact us to find an exact configuration. If you live out of the area, ask us about our door-to-door delivery options. 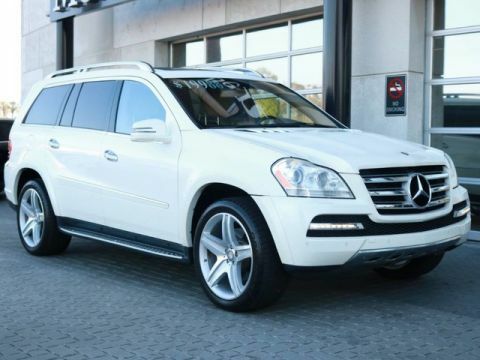 WHEELS: 18 5-DOUBLE SPOKE ALLOY (STD) SPLIT FOLDING REAR SEATS PREMIUM 1 PACKAGE KEYLESS-GO PACKAGE SPORT PACKAGE NON SMOKER CONDITION: At Mercedes-Benz of Ontario our vehicles undergo a rigorous assessment to ensure they meet our strict criteria. Exhaustive system checks of electrical and mechanical components along with the meticulous inspection of the body structure you will enjoy the same peace of mind as you would a brand new vehicle. BENEFITS: There are many benefits to becoming a Mercedes Benz of Ontario Owner. Complimentary services include car washes, Mercedes-Benz courtesy vehicles for extended repairs, Ontario Airport pick up and drop off (your vehicle washed and ready upon your return), multi point vehicle inspections and much more... ABOUT US: Mercedes-Benz of Ontario is located at 3787 E. Guasti RD, Ontario. 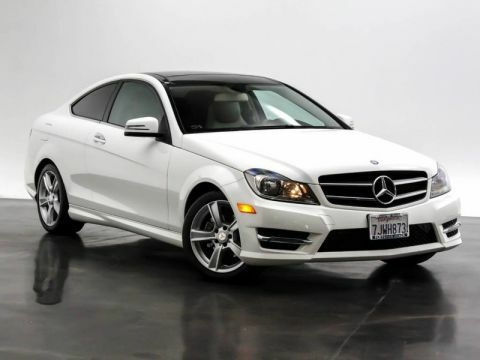 As an authorized Mercedes-Benz dealer, we offer one of the largest new and Pre-owned inventories in the Inland Empire. Our legacy of family is the place in which we operate from; as a Fletcher Jones Mercedes-Benz dealer we strive to deliver exceptional Service and Value. Visit or call us today to experience the Fletcher Jones Difference. Thank you. NON SMOKER 1 OWNER COMFORT SUSPENSION WHEELS: 17 5-SPOKE ALLOY (STD) BLACK ASH WOOD TRIM We are Driven to Delight, That's why we offer our exclusive Platinum Certification program. Platinum Certified is a Fletcher Jones Exclusive, It goes far beyond the Certification offered by our competitors, It includes an additional 80 point inspection, Every platinum Certified CPO from Mercedes Benz of Ontario comes with a Platinum Structural Integrity report. As part of our platinum program a 4-wheel alignment along with the next A or B service is performed. 3 months free XM Satellite with vehicles equipped with XM Radio. Drive with confidence knowing your vehicle was completely serviced by our factory trained technicians. CONDITION: At Mercedes-Benz of Ontario our vehicles undergo a rigorous assessment to ensure they meet our strict criteria. Exhaustive system checks of electrical and mechanical components along with the meticulous inspection of the body structure you will enjoy the same peace of mind as you would a brand new vehicle. BENEFITS: There are many benefits to becoming a Mercedes Benz of Ontario Owner. 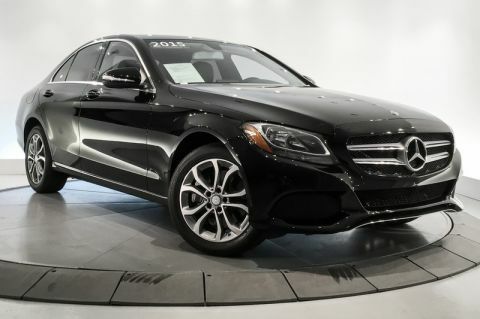 Complimentary services include car washes, Mercedes-Benz courtesy vehicles for extended repairs, Ontario Airport pick up and drop off (your vehicle washed and ready upon your return), multi point vehicle inspections and much more... ABOUT US: Mercedes-Benz of Ontario is located at 3787 E. Guasti RD, Ontario. 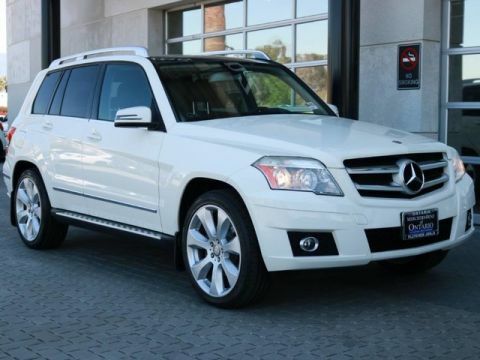 As an authorized Mercedes-Benz dealer, we offer one of the largest new and Pre-owned inventories in the Inland Empire. Our legacy of family is the place in which we operate from; as a Fletcher Jones Mercedes-Benz dealer we strive to deliver exceptional Service and Value. 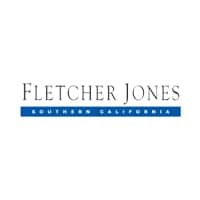 Visit or call us today to experience the Fletcher Jones Difference. Thank you.